Thank you for visiting! We are currently working on our site. 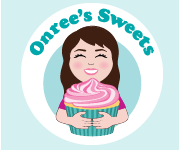 Please go to Onree’s Sweets Facebook page here for photos of our baked goods. As always, you can email info[at]onreessweets[dot]com with any questions and of course check out the facebook page!